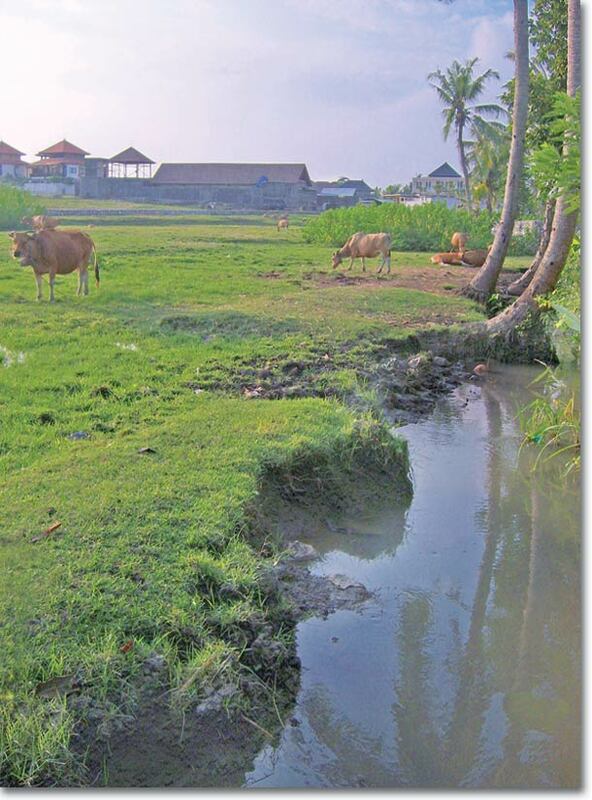 Tranquil: Down by a brook in pastoral Canggu, cows graze and laze as dusk arrives. The scenic area in North Kuta is being transformed into a residential enclave by foreigners living in Bali, with new houses going up at a brisk pace. Recent attempts by developers to build large-scale villa projects for tourism, however, have been knocked back by the local community.